To grow good, healthy, no spray, organic vegetables is one thing, but to make them taste GREAT is another! 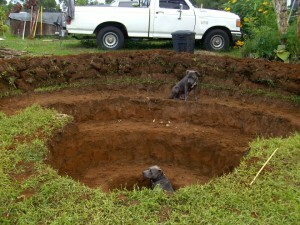 Having “imu’s” are popular in Hawaii to cook under ground in a pit. If you haven’t tried imu food~ it taste unbelievably good! Here are some designs to help you get started- if you would like to share your design please feel free to email us and we will be glad to publish it so others can see!